Since she began playing rugby in 2007, Kelsi Stockert has made quite a name for herself. As a cheerleader throughout high school, she was introduced to the sport and instantly fell in love, playing for the USA U19 -- and also winning 2nd with the Seattle Saracens -- and U23 teams before making her official debut with the Women’s National Team (15s) in 2015. Stockert earned her first cap during the 2015 Women’s Super Series where she scored her first try against New Zealand. After impressive performances earned her a Captaincy for the 2016 Women’s Collegiate All-American Team, the growing star opened the ATVUS 7s Tournament that year with a hat trick; also leading her squad to a second-place finish. 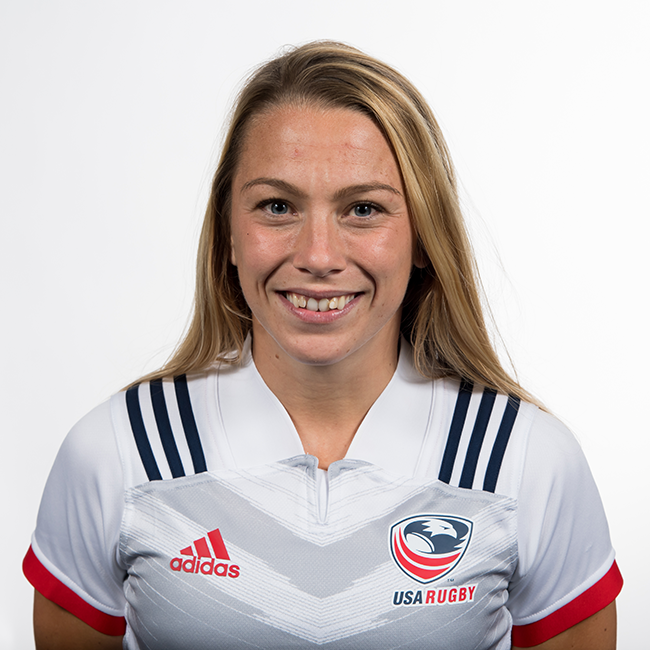 By 2017 Stockert had set her sights on Sevens where she made her debut at the 2017 USA Sevens tournament in Las Vegas. The following season, she suited up for the 2017 Dubai Sevens tournament where she scored a game-winning try against New Zealand which allowed the Women’s Sevens team to advance to the Semifinal in the biggest upset of the weekend.